About GR International Brand: GR was started as a petite cottage industry in 1970 in Bangalore by DNP Guptha. Guptha occupied a small group of staff and trained them to hand roll the incense sticks with exceptional quality. Guptha’s endless investigation and creation of new fragrances and his pursuit of a pure aroma without contamination ensured a high quality product. Today, GR maintains a bouquet of 250 fragrances that are regarded as essential fragrances for everyday use. Each stick is hand-rolled and lovingly packed in beautiful boxes to make them thoughtful gifts. GR uses its labyrinth of aromatic herbs, resins and flower extracts to create a feast of exotic aromas for those who require special fragrances to pamper their senses and create a heavenly atmosphere. GR products are loved worldwide because of the exclusive fragrances, unmatched range to suit every mood, and highest quality of manufacturing. GR is ambitious and inspired to deliver to its customers the very best quality to ensure satisfaction. GR knows the benefits of proving exceedingly expert hand rolled quality incense and thus, invests significantly in its people by providing good working environments, remuneration packages and instilling a passion for quality, which has enabled GR to continue to provide outstanding products. This includes the extremely knowledgeable Perfumers and research and development teams. GR provides them with an ultra-modern aromatics lab, with all the latest development and testing apparatus to ensure the best results. Additionally, GR International is a member of the All India Agarbathis Manufacture Association and actively participates in incense manufacturers forums around the world. 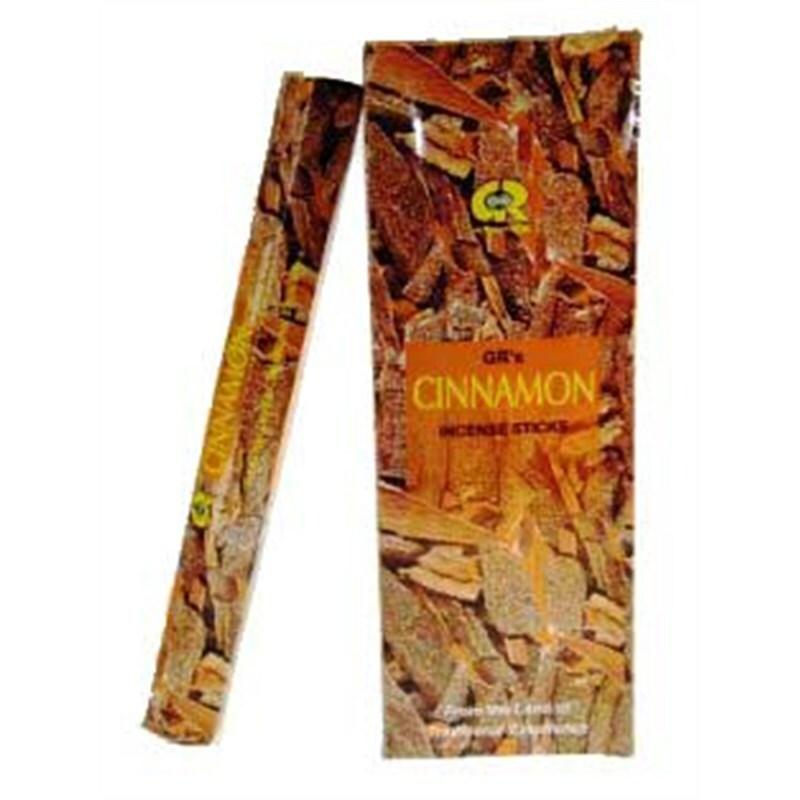 > Incense Inda Agarbatti Hexagram G.R.